"In order to grow your audience, you must betray their expectations"
He is the dream maker, the one who created characters i love. 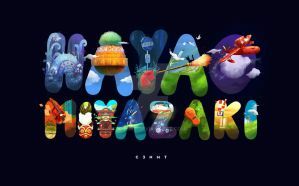 Outstanding art, I love Miyazaki, and you have done a fitting tribute. He would I think be pleased. this is beautiful! Are you selling prints?? I would love to ask you some questions about why you made this! Wait- Am I just not seeing Nausicaa or did she not make the cut? Such a beautiful portrait !! It's so creative, and intricately done, I especially love his smile and hair !! 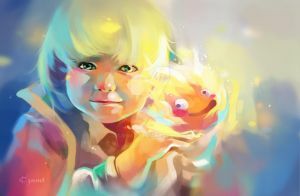 This is such a lovely tribute to Miyazaki-san and the films! Stupendous Job!!! Wonderful portrait! I love looking at all the little details. 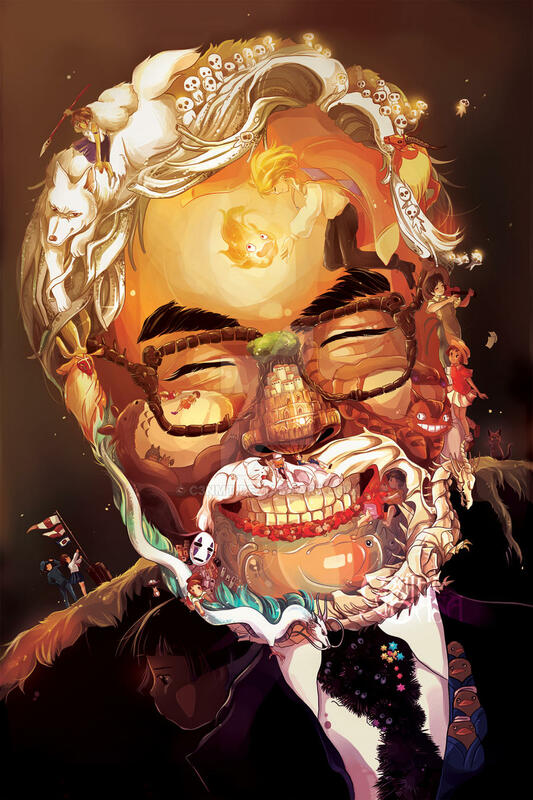 This portrait of Miyazaki-san is simply splendid all the way around! Such a skilled, delightfully creative homage. Genius!, Beautiful art and concept, and also a great tribute to this wonderful man!. By the way I love this type of art where a big image is formed by many other little images, if this type of images have a special name I'd like to know because I don't know how to look for more of them. Thanks! I can appreciate your great talent for drawing and creativity to overlay films. A fresh idea with a fantastic result. OH MY STARS WHAT THE HECK STUDIO GHIBLI THIS IS AWESOME!! This is without a doubt one of the best peices ever!